Three (3) Asian elephant figurals. 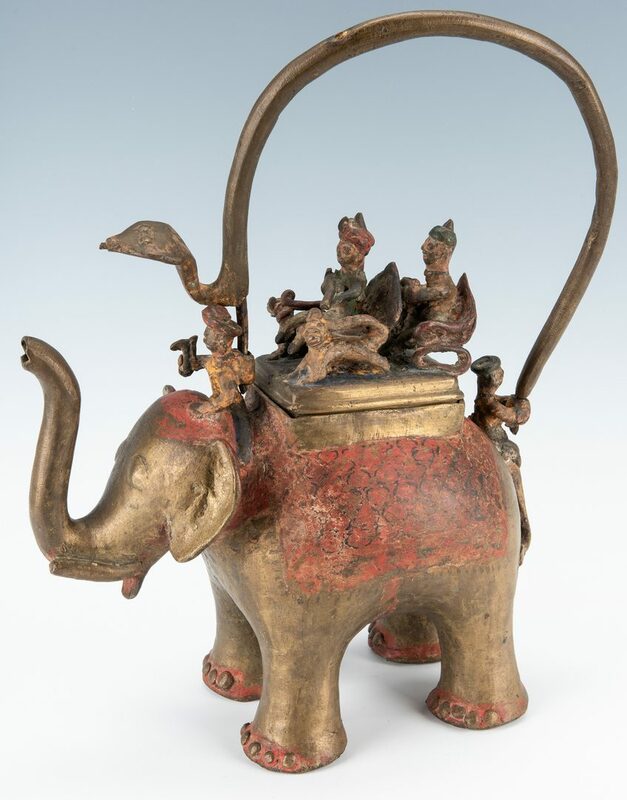 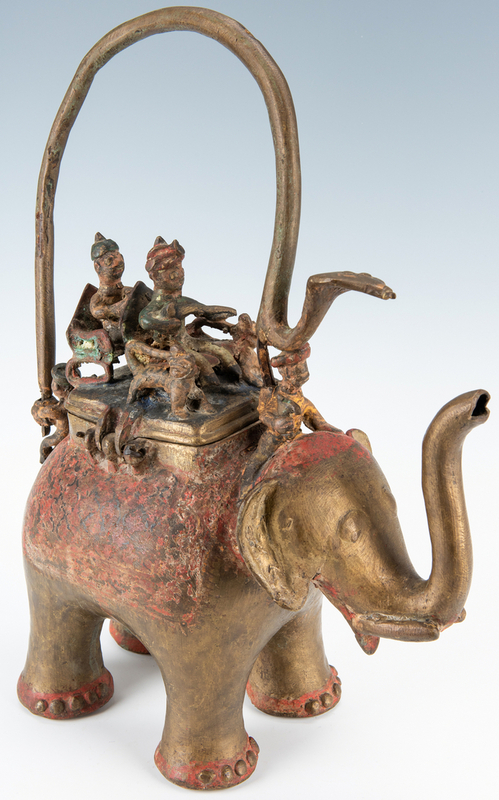 1st item: Large Indian bronze figural wine or water vessel, modeled in form of an elephant with riders and cats atop his back with attendants front and back of handle. 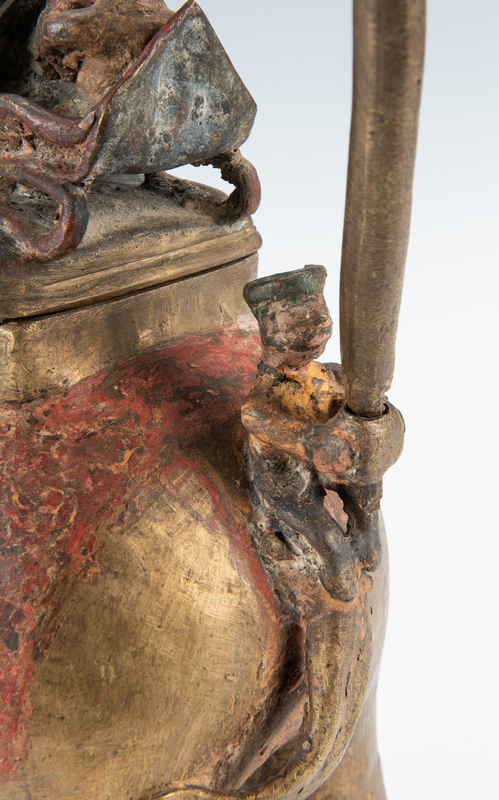 Traces of old red and blue paint retained. 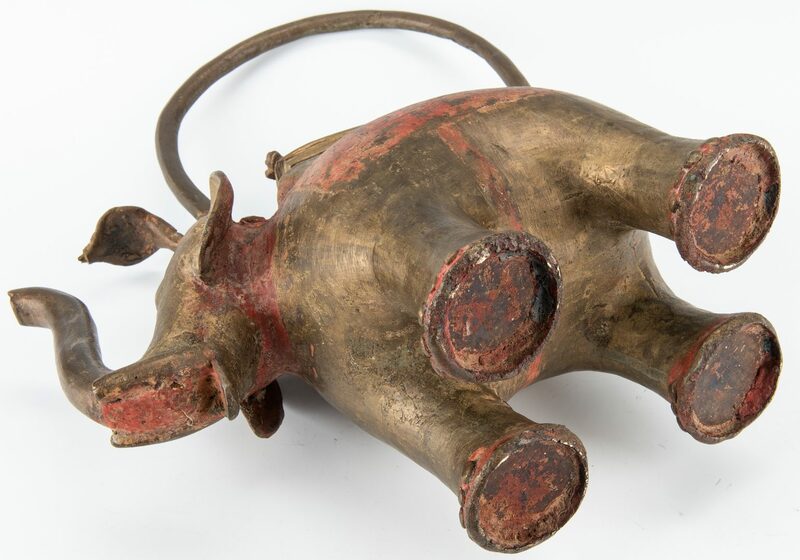 17" H x 20" L x 6 1/2" W. Late 19th/20th century. 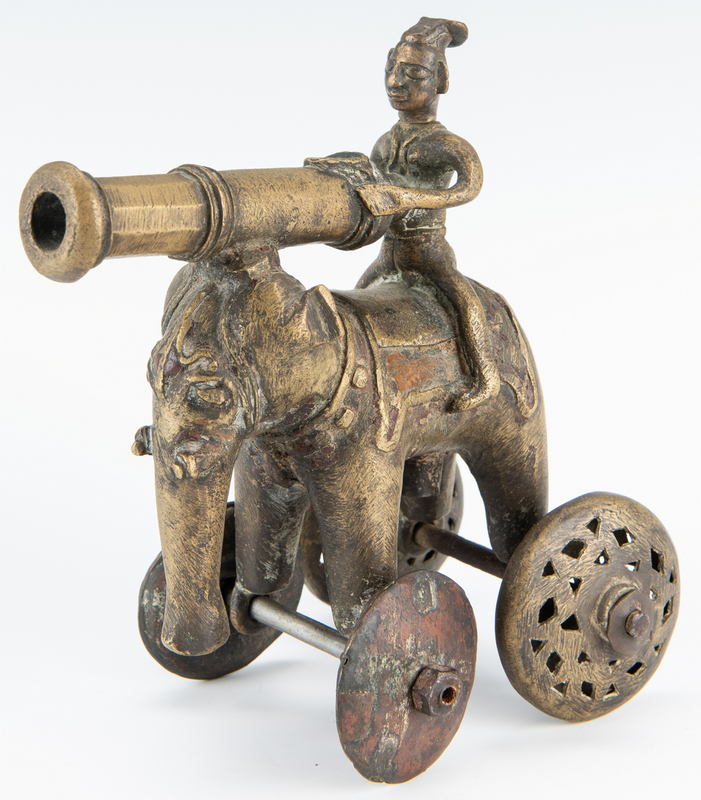 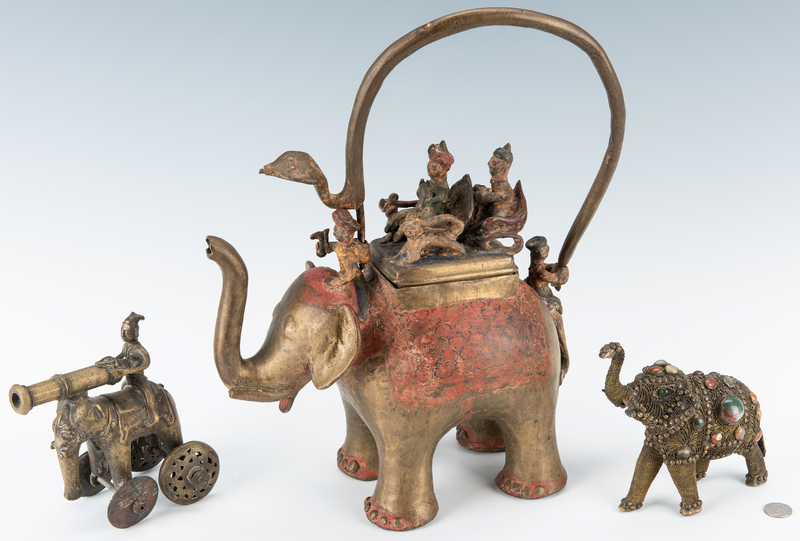 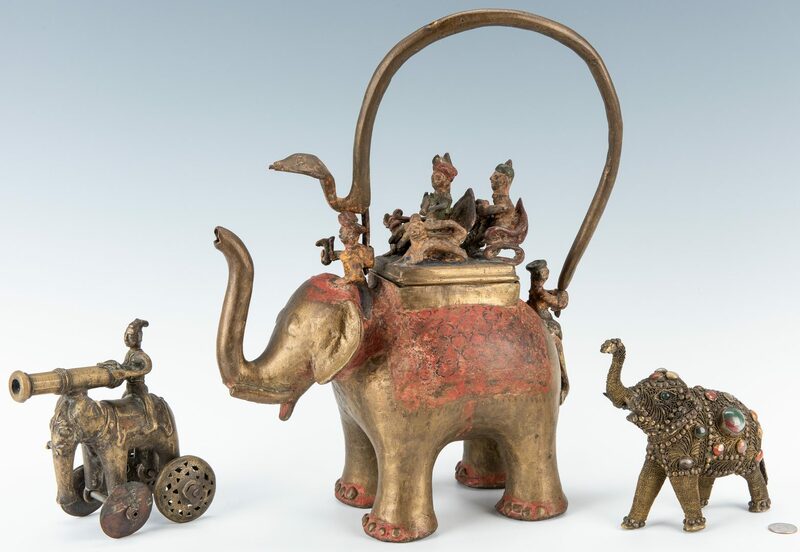 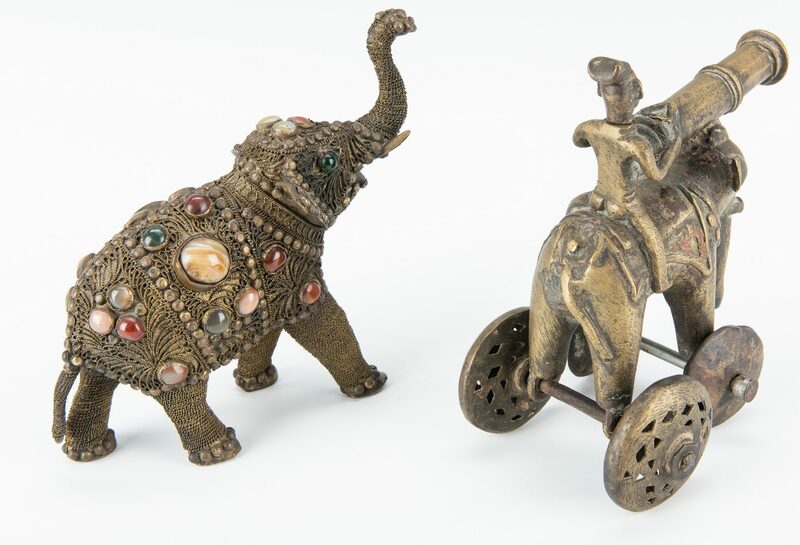 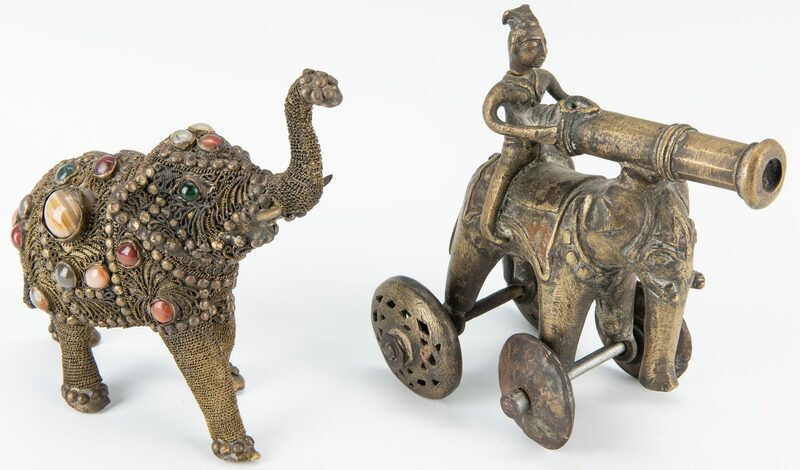 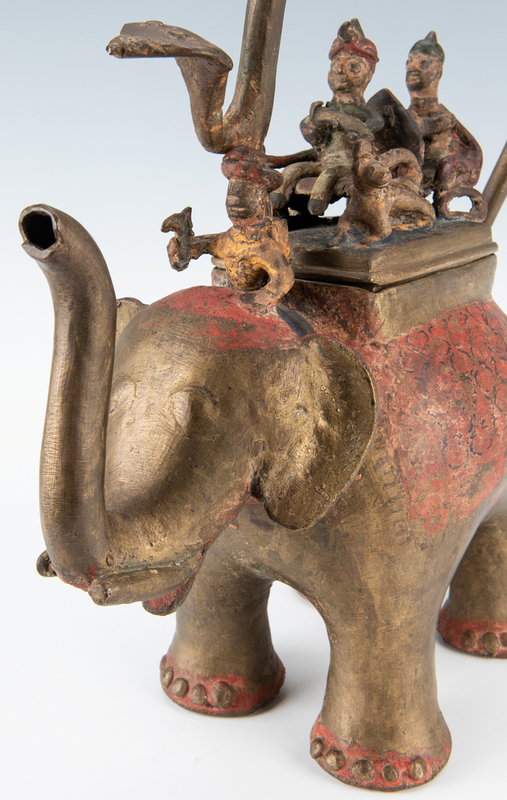 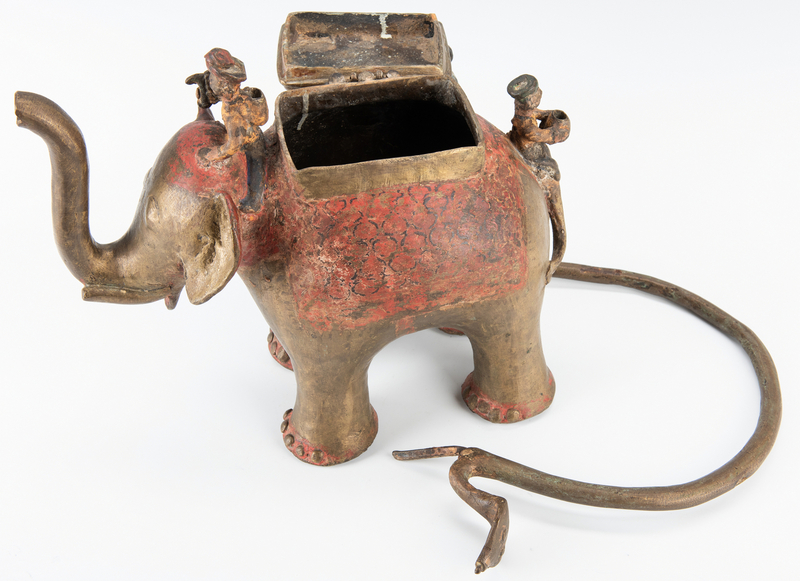 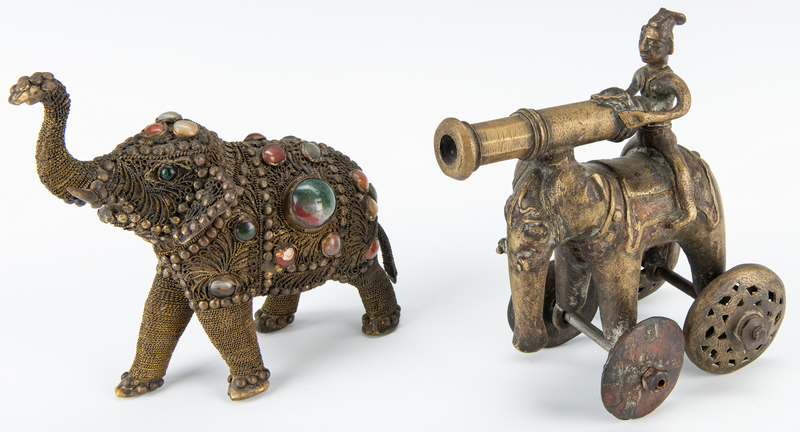 2nd item: Indian bronze temple toy of a rider atop a wheeled elephant manning a cannon. 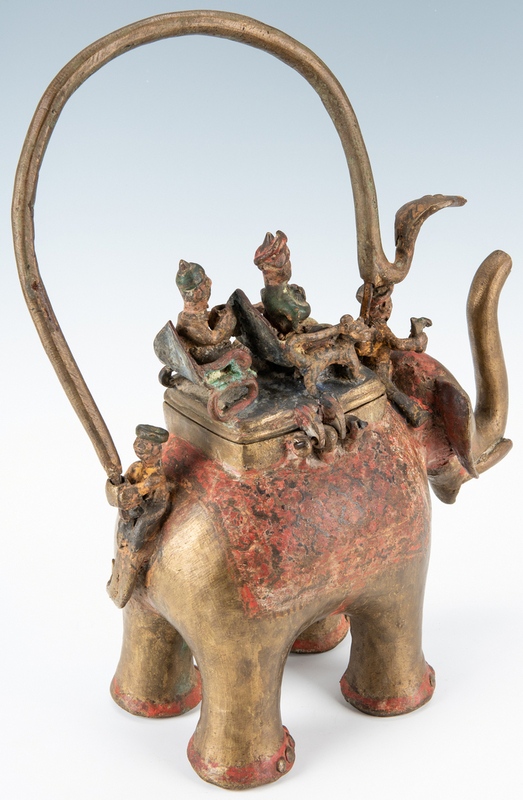 7" H x 7" L x 4 1/4" W. 20th century. 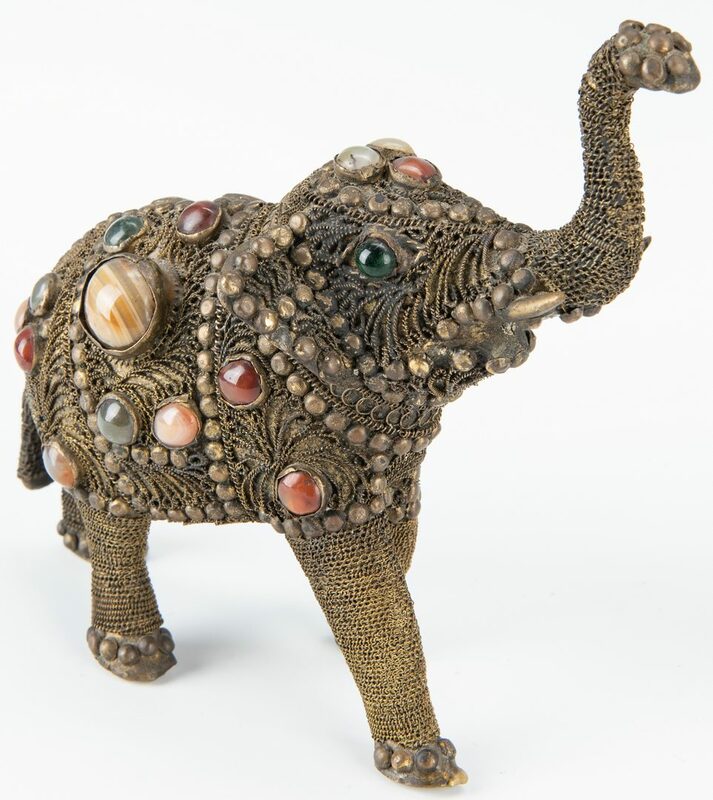 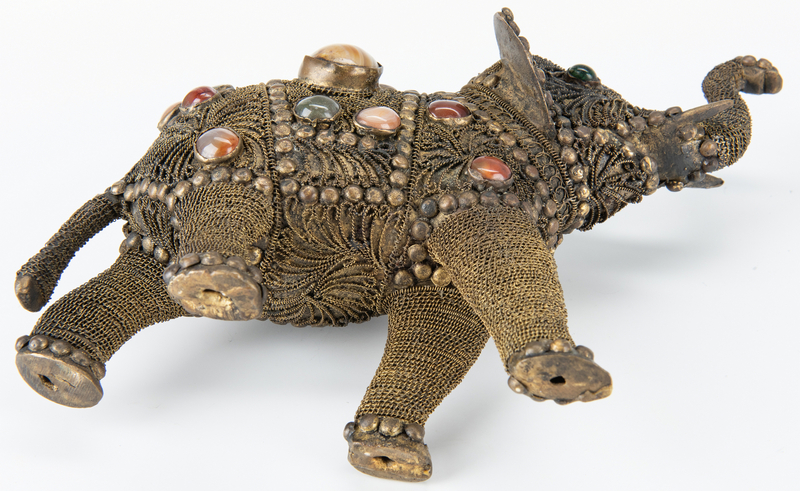 3rd item: Indian filigree brass figure depicting an elephant inset with various color hardstones. 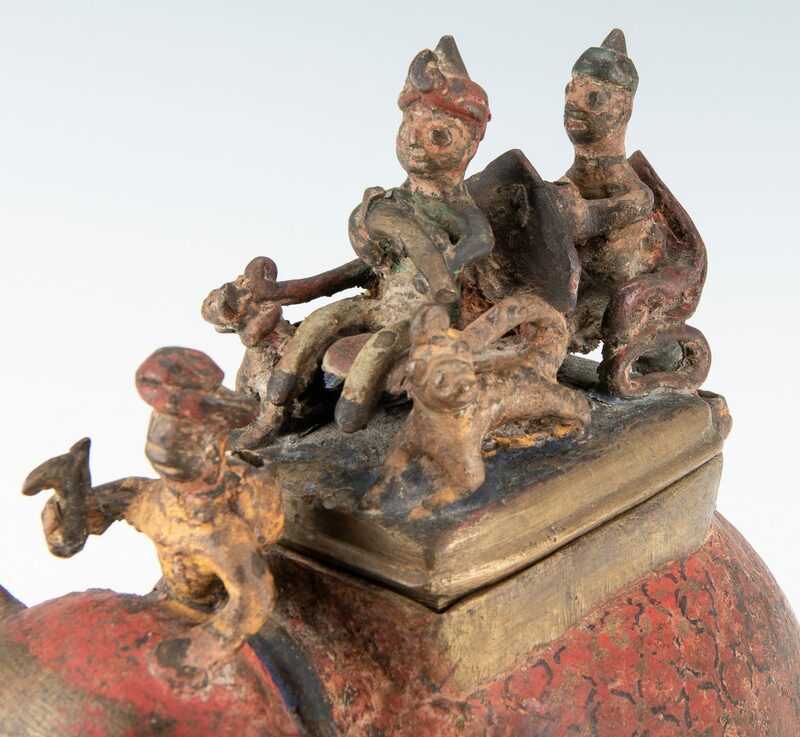 6 3/4" H x 7 1/2" L x 3" W. Late 19th/early 20th century. 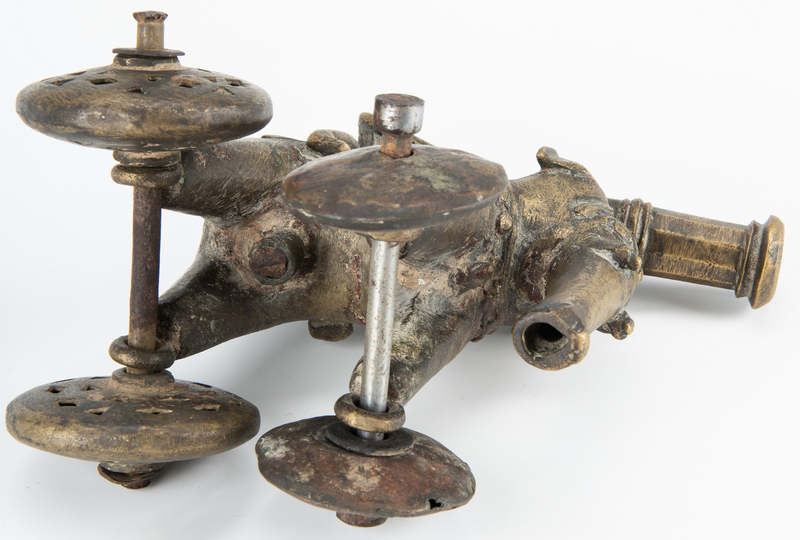 CONDITION: 2nd item: Front axle likely not original, overall general wear. 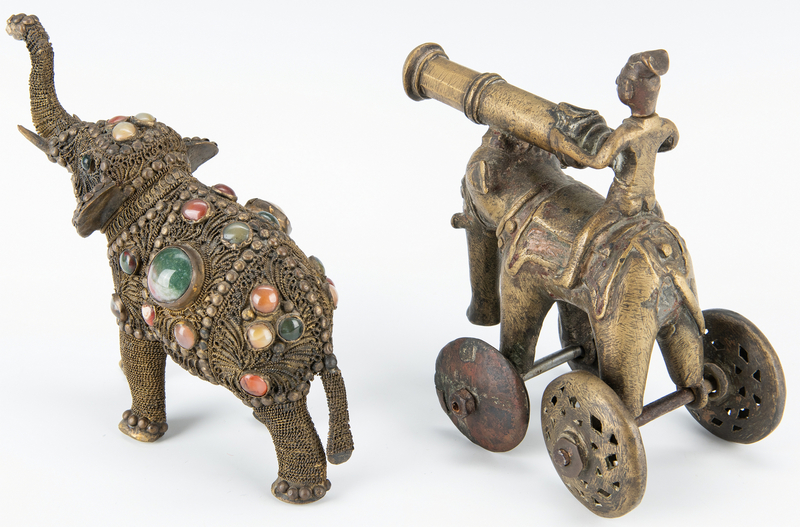 3rd item: Overall general wear and grime.